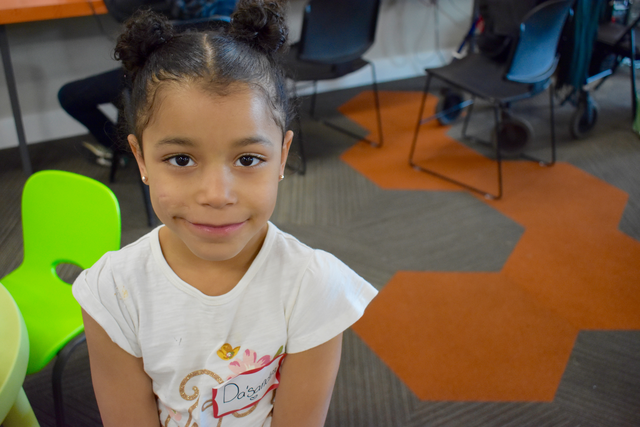 Here at Spark Central, we have a regular event called “Girl’s Code.” This is an event for girls between the ages of 4 and 7, where they are able to produce a creative story through coding. You might be wondering why this event is limited to girls, even though we also offer “Drop in and Code” for all kids above the age of 3. By the time females hit the age of middle school, self confidence and gender comparisons in school start to become an issue in girls’ minds. In class, many “girls find themselves being rewarded for being quiet rather than inquisitive” (Kazoo). In science classes, studies have shown that they might earn higher grades than boys, but still feel low confidence in their work. Why do they feel this way? And what can we do to change future generations of girls to feel equally intelligent in school, activities, and in life? Girl’s Code allows girls to see the awesome things they can create in a field such as coding. While we value and appreciate boys and girls alike, we simply want to give girls the chance to shine together to find their belonging alongside boys and boy-identified kids. Just 11% of engineers are women, and 60% of girls give up what they love because they don’t like how they look (Kazoo). Just imagine if every girl that enjoyed math and science continued to pursue that passion! Girl’s Code promotes innovative confidence and shows the endless possibilities for girls in the science field. Thank you to Kazoo Magazine for the insightful information and statistics, and join our next Girl’s Code program this Saturday, April 21st from 10am to 12pm.